Attorney Lyle practices divorce and family law in the Kansas City metro area, on both sides of the state line. His specialized advice contains the information you need to make filing out and preparing the necessary divorce papers and every other step in the divorce process as painless as possible. Lyle Law will be on your side during a process that isn’t easy to create the best strategy for your case. Divorce can be a painful subject that nobody wants to think about. Unfortunately, for some couples, it is a harsh reality that affects entire families. It can be an extremely stressful process for everyone involved, with lasting consequences if every facet isn’t handled with care, experience and the knowledge to get things done the best possible way. When ending your marriage is the only option, you need an experienced divorce attorney in your corner. Lyle Law will guide you through the divorce process, from filing the initial paperwork to mediation and dividing assets. Like many legal proceedings, particularly complex divorces involving children or property that go to trial, filing for divorce involves a discovery process, which is a step used to gather information about both parties for the divorce case. Discovery can be used to find out what arguments the other party intends to use at trial (if applicable) and develop sound support as well as defense of your case. Disclosure: Both parties disclose to the other party basic financial information from the other party or other items which the Court requires mandatory disclosure of without a specific request from the other party. The list of financial items is sent to the other side of the divorce and they must respond to the requests in approximately 30 days in most states. Interrogatories: This is a list of questions that one party sends to the opposing side about any assets, liabilities, parenting time and practices and what factual allegations the opposing party will make at trial in order to best prepare for your claims and defending the opposing party’s claims. The list will also include the names of potential witnesses, exhibits and other evidence the opposing party plans to use to support his or her case. The interrogatories are verified by the opposing side under oath. Admissions of Fact: The other party directs the written list of facts, which can range from certain acts of family violence to dissipation of assets. The party receiving the list of facts must admit to or deny each fact. Once admitted, it is not necessary to have to present further evidence at trial regarding the admitted fact. Request for Production: Used to obtain documents such as bank statements, statements of income or any other documents that can benefit your case and be used by you as an exhibit. The list of requested documents is sent to the other side of the divorce and he or she must respond to the requests in approximately 30 days in most states. Depositions: During a deposition, your attorney will take sworn testimony from the opposing party and any witnesses and experts involved with your case. Anything said during a deposition can be used in court if an agreement cannot be met prior to a trial. Depositions are normally the last step in the discovery process. 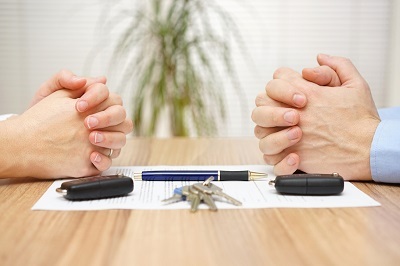 Divorce Settlement – When both parties agree to the terms of the issues, they may sign a Marriage Settlement Agreement right up to the point of trial. 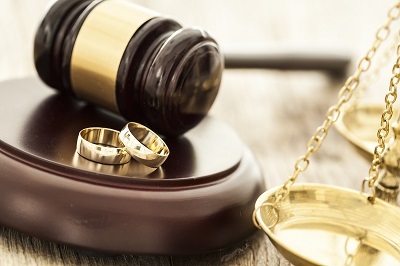 Divorce Trial – If no settlement can be agreed upon, the divorce proceedings go to trial, where both parties argue their cases before a judge, and he or she determines the outcome of the proceeding. Attorney Lyle at Lyle Law LLC in Overland Park, Kansas has knowledge and experience on his side helping many couples navigate the divorce process in both Kansas and Missouri.